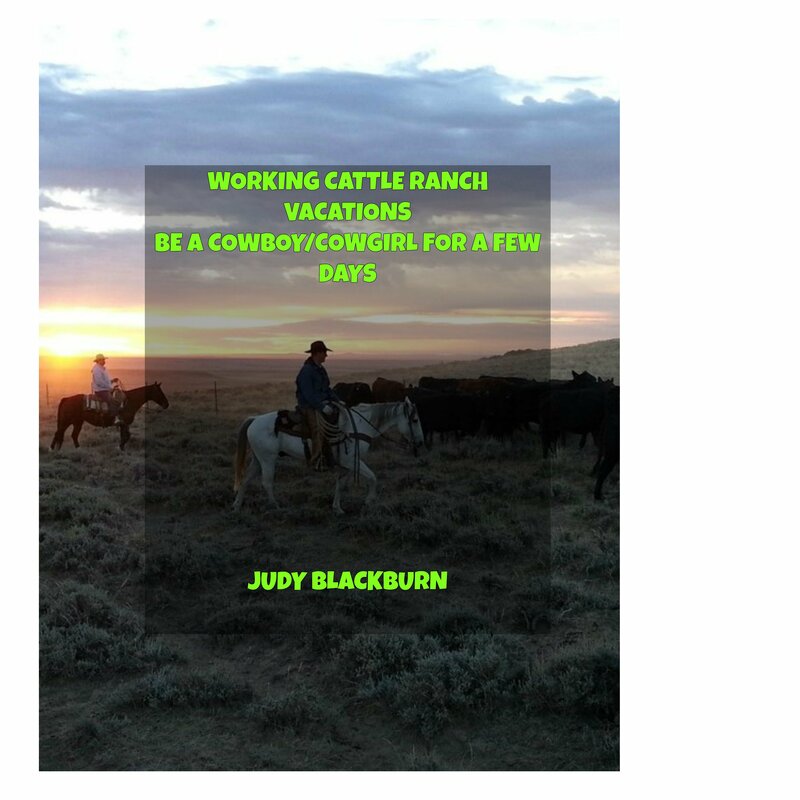 This is another of those wonderful ranches where you can really have that hands on experience of being in the boots of a cowboy. Horseback riding is at the top of the list at this ranch. Whether you are a beginner rider or have riding for years, there is a fun ride for you. Other activities with your mount is learning to groom, saddle, and feed the horse. There’s a chance to take part in a rodeo. You can also attend one of the “Horse Knowledge” classes that are offered. Ever have a hankering to learn how to throw a loop and catch a calf? I think I would like to add this to my cowboy learning. Here at the Rockin’ R they have plastic calf heads attached to a wooden frame and you can practice throwing your loop at the “calf” and he can’t run away. Besides the horse fun, you can enjoy a trip down the river on an inner tube or swim in the pond. If you like to hike the ranch offers one to Antimony Canyon where an old mining community is located. Lots of room for exploring here. Maybe you’d rather fish. This sport is available either in a near by stream or lake. If you have never fished, but would like to give it a try, an experienced fisherman will give you the tips. There are several more activities to choose from; reserve a spot for these fun times when you make your reservation. These additional things include bringing in the horses. There is a horse training course, a stagecoach ride with a photo shoot, a couple of special horseback rides, one to Cowboy Rock and another to Antimony Lake. For the romantics take the hour and half moonlight ride. We’re not done yet; two more items on the list include shooting at clay pigeons and doing some rock climbing and rappelling. Some of these activities may not be available between June 15 and August 15, so be sure to check that out. The sleeping facilities are old west, but comfortable. The lodge has forty-one rooms with all the modern comforts. Other areas of the lodge have room for line dancing, pool playing, gift shop, and ice cream parlor. There is even an archery course. And I still don’t have everything listed. September 28- October 2 $1,645. The ranch stresses to contact them for details of these drives. Kids under four stay for free. This ranch is near the Zion National Park and the address is 9065 West Hwy 9, Zion National Park, Utah. Toll free phone number is 1-866-648-2555. Local number is 1-435-648-2555. Their list of outdoor fun of course includes horseback riding with one, two, and four hour rides to choose from. The rides go through Zion National Park. Canyoneering is a new one to me. There are some outstanding canyons in Utah and that’s what this activity is about. A guide is on hand to show you around and through the canyons. If you don’t want to ride a horse or hike the canyons, you might prefer biking. Utah has spectacular mountain biking available. Fishing is possible and a guide will help you learn the art of fly fishing to help make this experience memorable. After you’ve ridden a horse, fished, hiked, and everything else, one last thing to enjoy is a massage to soothe away any tiredness from the day’s excursions. There are lodges to stay in like Zion Buffalo, Zion Homestead, Zion Sauna, Two Bedroom, Family, Grand, Canyon Rim, Family Canyon Rim Spa, and Buffalo Retreat. Several cabins are made ready for guests with names like Meadow View, Buffalo Vista, Canyon Rim Suite, Bedroom Suite, Champagne Suite, and Honeymoon Suite. I couldn’t find any pricing on their site so be sure to call and find out all those details. The ranch is located at 11550 Pigeon Hollow Rd, Spring City, Utah 84662. Phone is 435-851-6157. Their main activities are horseback riding, hiking, mountain biking, fly fishing, and they offer a nature spa. There’s a kids program too. After a day of riding or other fun things, you can relax and enjoy some cowboy poetry, songs, and country dancing. The Wind Walker offers something I haven’t come across yet and that is Murder Mystery Evening, where you and other guests play different parts in a murder mystery and find out who shot the sheriff. Sounds like a lot of fun. I like mysteries. How about you? Prices per night range from $151. to $250. and $251. to $300. Call for details at 435-851-6157. To find out more about the Reid Ranch the contact information is www.reidranch.com. Address is 3310 South 2700 East, Salt Lake City, Utah 84109. Phone numbers are 1-800-468-3274 or (801) 486-5083. The Reid Ranch have trail rides for guests ages 10 and older. There are pony rides for the little ones ages 3 to 9. For an extra fee guests can ride the Evening Horseback Excursions. I’ve seen quite a few ranches that are offering evening rides and I think that would be kind of cool to try out. For the water enthusiast the ranch has paddle boats and canoes to take out on the lake. Other activities listed are archery, tennis, hikes, and mini and Frisbee golf. When you want to relax sit around the campfire for some fun time or try out the spa and sauna. They are only open from June to October with rates ranging from $120. to $240. per night. The accommodations include the Red Creek Lodge, Tabby Mountain Lodge, Bunkhouse, Cabin/Guest House, and for the ones who want to rough it, there are camping facilities.